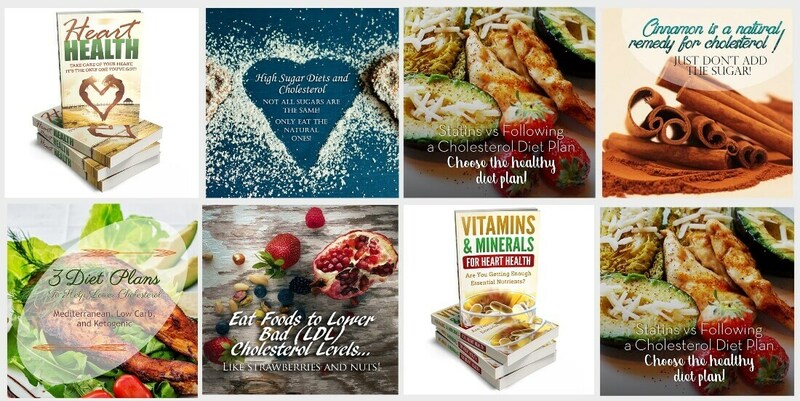 Cholesterol, Nutrition and More! 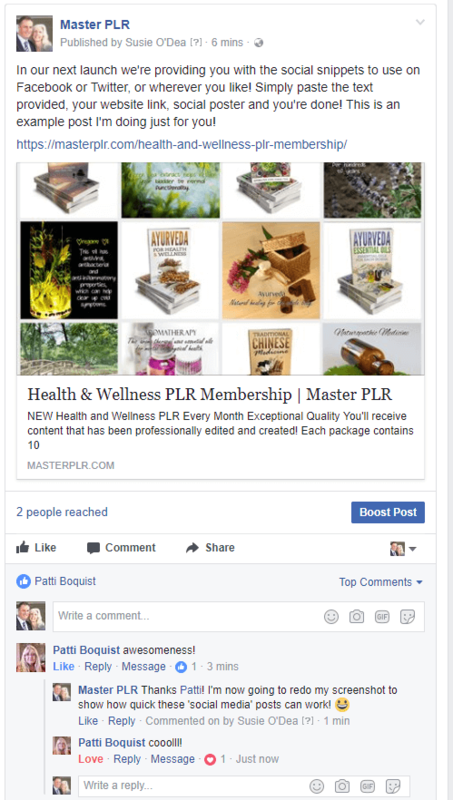 PLR Special! 'All New' Private Label Rights Package Ready For You To Use As Your Own! There are thousands of monthly searches on topics relating to heart health and natural heart health solutions! 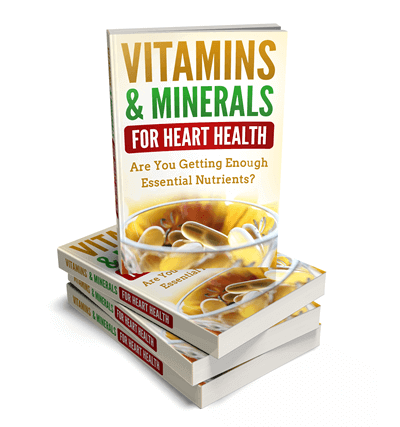 This package contains content on cholesterol, vitamins and minerals for heart health and more! It's a great package for any health provider or natural wellness website owner. 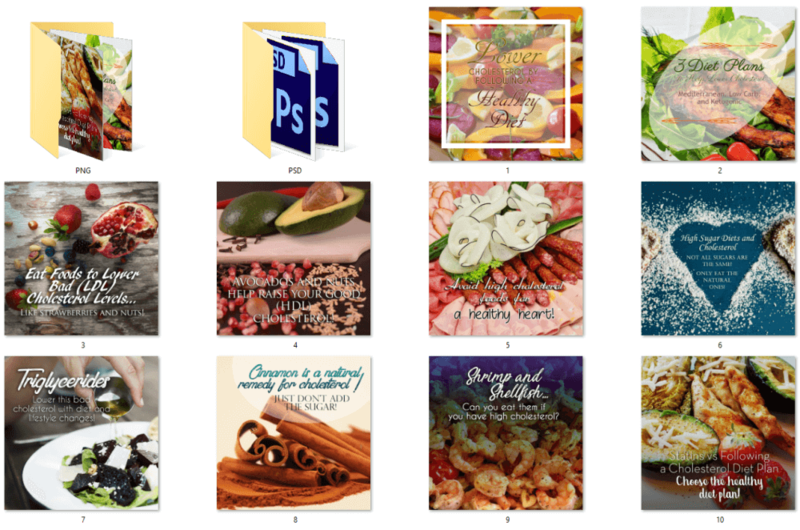 Now you can provide the information people are looking for with the content provided in this PLR mega pack! 5,007 words, 29 pages. 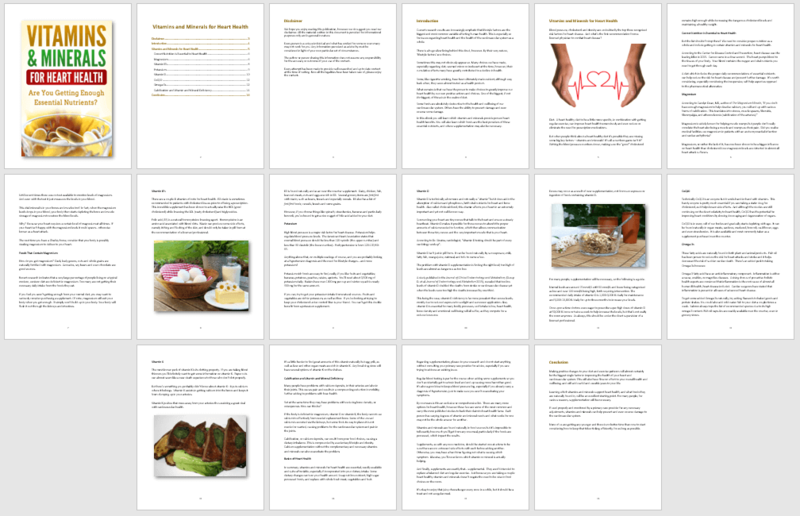 – Formatted and includes a table of contents with easy to click hyperlinked pages. 2,756 words, 16 pages. – Formatted and includes a table of contents with easy to click hyperlinked pages. We've created the copy for your WordPress squeeze page! 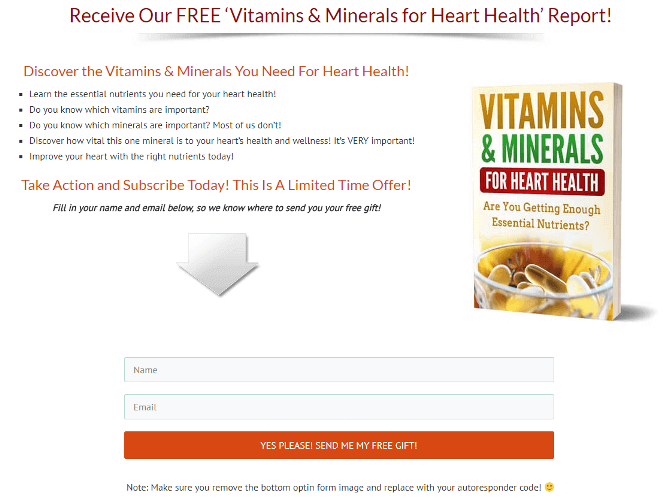 Now you can promote your 'Vitamins and Minerals for Heart Health' report optin offer without having to create the content yourself. We've done it for you!! You’ll also receive a full-size infographic! Our infographics are huge! This one measures 1,000px x 5,620px! We’ve also created 3 infographics from the super-sized one for you! Only the authority websites have infographics like these, as they are too expensive to create! Now it's your turn to be seen as an authority! Check out these mini infographics! They are filled with information... so they are not just a social poster! However, you can use them anywhere! Place them in your website posts, then share on Facebook, Pinterest or wherever you want to get traffic from! People share these with family and friends and that helps you get more traffic to your site! 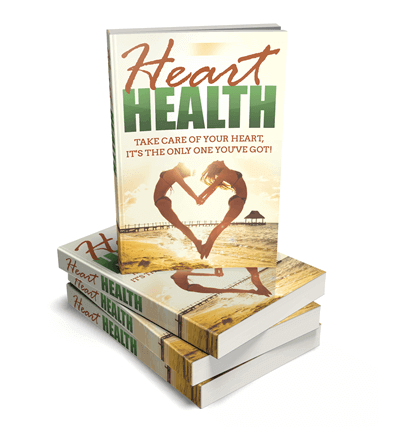 'Heart Health - Take Care of Your Heart It's The Only One You've Got!' - 5,007 words, 29 pages. This ebook has been professionally formatted and includes a disclaimer, an introduction, conclusion and table of contents. It is fully illustrated with royalty free, commercial use images. Brand as your own and keep 100% of the profits! 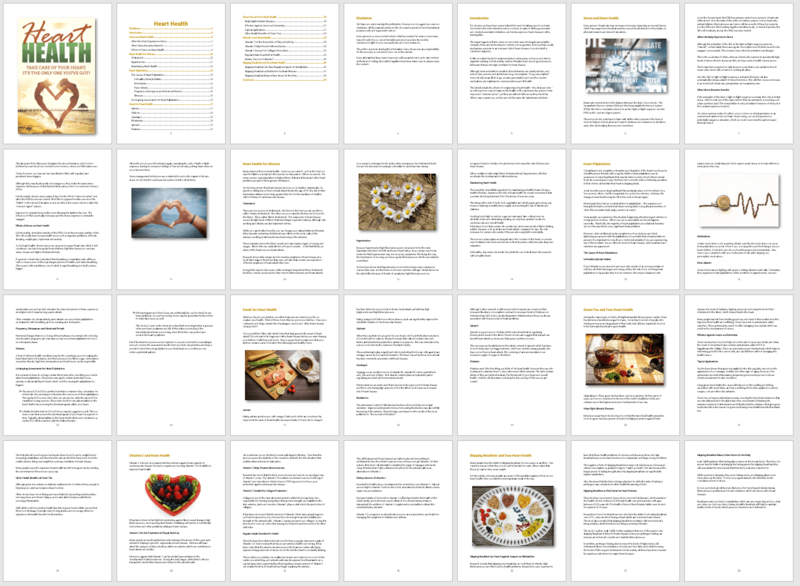 'Vitamins and Minerals for Heart Health' - 2,756 words, 16 Pages. You’ll receive a full-size infographic! Everyone loves our infographics and you will too! Our infographics are not little images…you have to keep scrolling which keeps people on your site longer! This one measures 1,000px x 5,620px! We have also created 3 mini-infographics from the super-sized one for you! These become super handy extra images that you can share on your social media sites! You'll receive another 10 infographics! They have lots of written information, so they're a lot more informative than a social poster. That's why they're called an 'info' graphic! Share them, post them in your content... and get noticed!